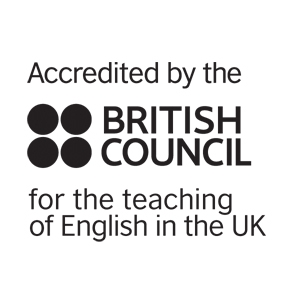 All students attending the school for more than one week must have a copy of the course book for morning General English classes by the first lesson of the third day. They can either source and purchase the book themselves with guidance from the school or rent a copy from reception. Students renting a book must pay a £30 deposit which will be refunded on completion of their course and return of the book provided it has not been written in and it is in good condition. Students who require course books will be reminded on day one that they need to buy the book and again on day two. If they do not have the book by the first lesson of the third day they will be refused entry to the class and sent to speak to the DoS to explain why. The course book for morning General English classes changes every ten weeks. Students will be informed of the change at least one week in advance and may exchange their current course book for the new one without paying an additional deposit. **25 PLUS courses are composed of 25 hours general english + 5 hours of One to One courses to make sure students reach their goals. One-to-one class sessions have different schedules. Please enquire for more information. *25 ACADEMIC courses are composed of 15 hours General English + 10 hours Academic Skills. **25 PLUS ACADEMIC courses are composed of 15 hours general english + 10 hours exam preparation + 5 hours of One to One courses to make sure students reach their goals. One-to-one class sessions have different schedules. Please enquire for more information. * For one-to-one lessons, please contact us before booking in order to check availability.